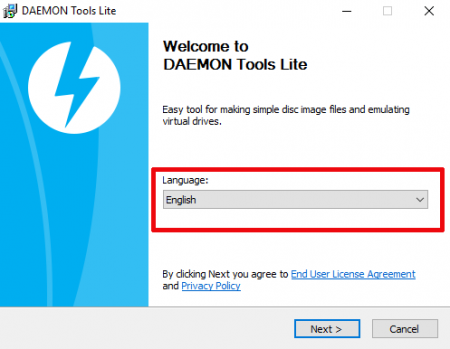 Among the other tools for emulating virtual drives DAEMON Tools stands out for its professionalism, comfort and easiness for usage. Light and intuitive, the utility comprises lots of useful features, starting from the function of creating image by copying the contents of the optical drive into ISO-file and ending with the easy mounting of virtual image onto the logical device. 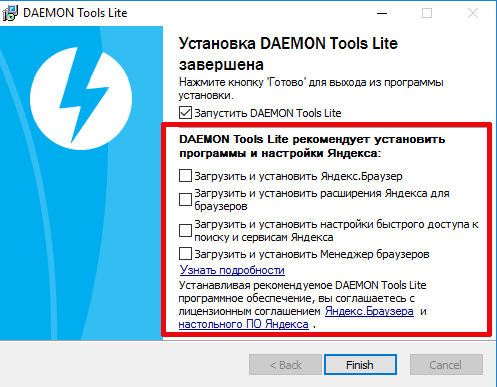 Comparing to similar products performing the same tasks, DAEMON Tools Lite’s functional part is quite enough for emulating any game, encyclopedia or reference book successfully, where PowerISO or Alcohol 52% doesn’t allow to fully emulate the appropriate CD/DVD/BD disc. In this article I will tell how to install DAEMON Tools Lite for free on the PC. At first, let’s visit the official project web-page and download the installer on the hard drive. 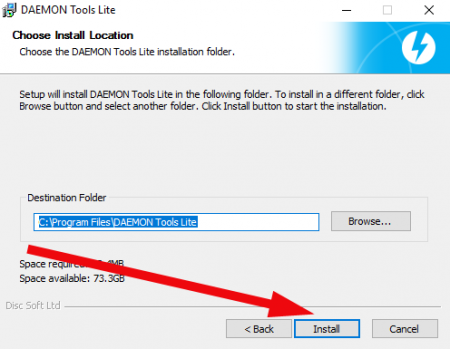 Just scroll the list of DT builds a little lower and find the link for free downloading of DAEMON Tools. Click the “Download” button. Soon the distributive of the utility will be saved onto your hard drive. Now let’s run the installation routine by making a double click on just downloaded file. The setup procedure is started. On the first stage of the installation process the selection form appears, which allows to select the type of activation to be applied. 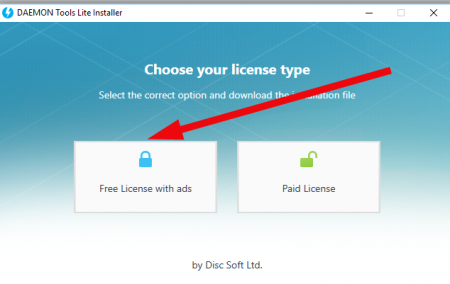 As we are going to install free Lite-version, let’s choose the “Free license with ads” option, - it has no any technical or time limitations, so this is the choice we make. After button is clicked, the procedure of preparing and extracting the setup files is on the way. In such a way, let’s wait couple of seconds until the copying routine is completed. When everything will be done, the notification appears that all the files are ready and we may go on with installation. Click the “Install” button. Now the setup procedure is continuing, using the system files, just copied and required for installation. The installator suggests to select the language of the wizard, so let’s choose “English” and keep on moving further. 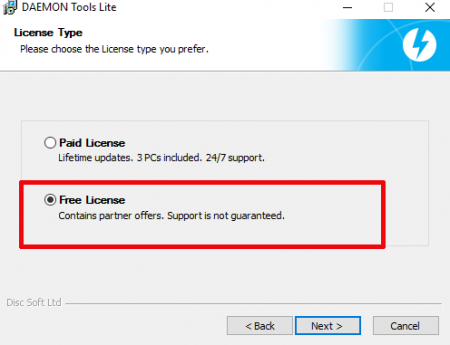 On the next step we choose the type of license applied for the app. As far as we are not going to buy paid version, choose “Free license”. The next phase allows to set the pre-intermediate options, defined for the utility. In such a way, we may set up the file associations (you may choose all the formats of the files to be linked to the DT except ZIP. If you are also going to use an archiver in addition to the virtual emulator, it’s better not to attach the ZIP files to DAEMON Tools Lite, and instead open and extract it with archiver), add the shortcuts to desktop and start menu and allow the program to send anonymous usage statistics. The first three options will be quite useful. Regarding the last option, think over whether you need sending your system data to developers’ server. Even if you leave this checkbox checked, no any personal data will be sent, so this is not really important. When all of the options are set, click “Next” button. 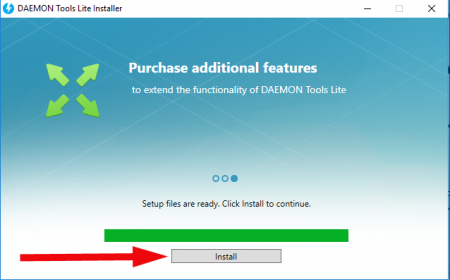 On the last iteration the installator proposes to define the path for installing the tool. By default, it is installed to “Program Files” folder. This location is absolutely fit, so let’s not change it and proceed to the main phase. Click “Install” button. Now all the system objects required for correct operating of the emulator are being extracted onto the hard drive. In half a minute all the customizations will be applied, and the app will be ready to use. As a conclusion, the final form will suggest to install some third-party external software. 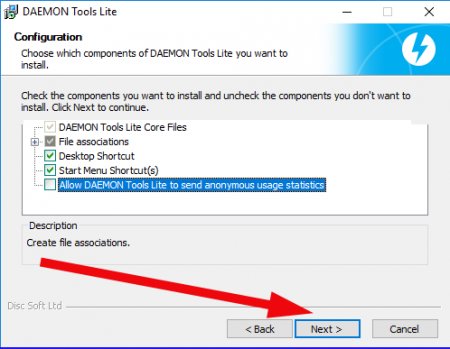 Remove all the appropriate checkboxes and afterwards run the DAEMON Tools emulator. On this note my instruction, how to install DAEMON Tools Lite is over. 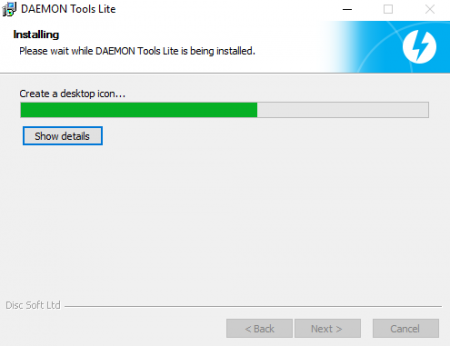 In common, the installation process of the virtual emulator doesn’t differ from setting up of any other distinctive software, so you will definitely install the app without any problems.